It's a twist of destiny that usually happens on TV shows. Do you believe that there's someone destined for you, like in those sappy TV dramas where the main romantic couple crossing paths without knowing that they're meant to be with each other in the future? Well, something like that happened to a couple in China. 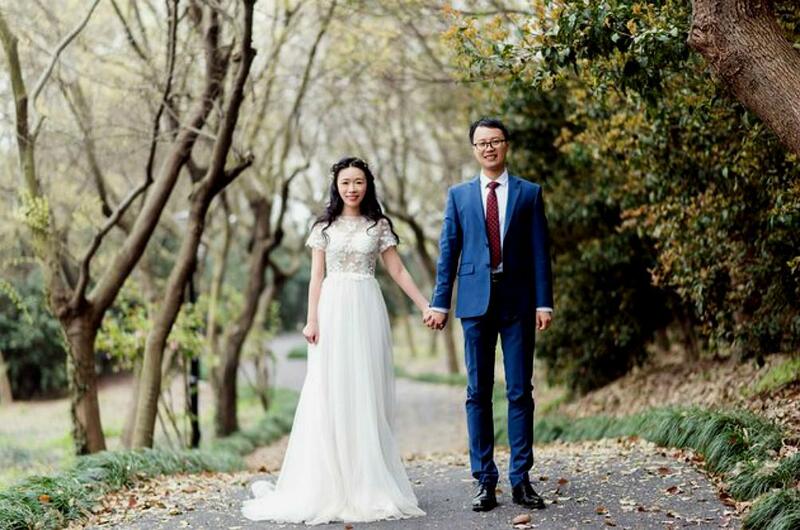 According to a translation by Huffington Post via Nahnu Evening Newspaper, Chinese couple Yiqin Lu and Hedong Zhang were sifting through their photos to put in their wedding album when they found a picture of Zhang, 15 years before they met. There wasn't anything out of the ordinary about the picture until they spotted someone in the background, a woman in red who turned out to be Lu's mother. The photo was taken at the Ling Shan mountain in Wuxi, China. Her mother had confirmed that it was indeed her, and according to the news outlet, Lu was also on that trip. What's even more amazing is that both families had taken the same bus, and used the same tour company! In the Huffington Post-translated interview from Hangzhou Daily, Lu stated, "My husband said, 'Although we didn't know each other then, the skies must've planned this for us 15 years ahead of time. With this incredibly story, we'll cherish our love even more." Aww. We wish the happy couple the best of luck! If this kind of thing can happen to them, then maybe we should dig up some of our photos to see if there are any signs of knowing who our one true love is (we're mostly kidding).